Hundreds came out Sunday afternoon to celebrate the city’s latest tribute to its favourite son. 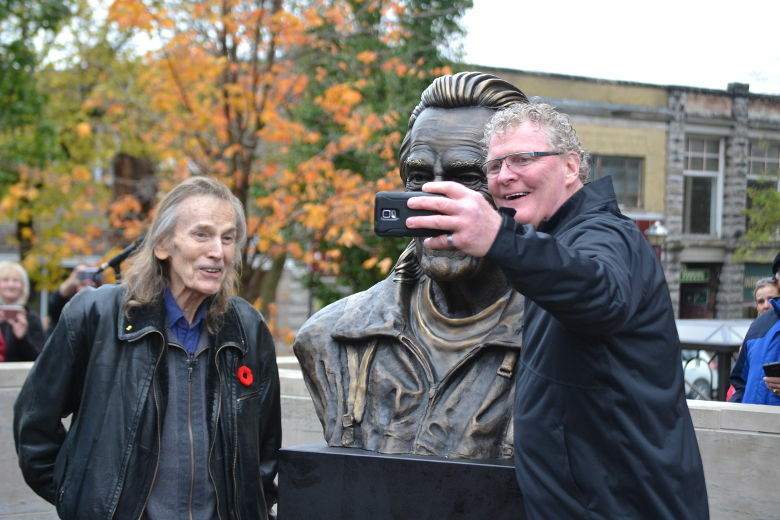 A bronze bust of Gordon Lightfoot was unveiled in front of the Orillia Opera House. Lightfoot was joined by members of his family and other dignitaries to officially show-off the sculpture to the public for the first time. Lightfoot spoke for about 10 minutes at the ceremony, regaling the crowd with a whirlwind biography, touching upon his storied career. In a way, he glossed over his years travelling the world as one of the most famous voices in folk music so he could explore his Orillian roots and showcase his love of his hometown. It seemed many in the crowd knew of most of the stories, having either heard Lightfoot tell them before, or lived through them, having grown up with the singer. In one case, a voice from the audience was actually able to add in details to a story, providing further context Lightfoot’s memory of an early recording. 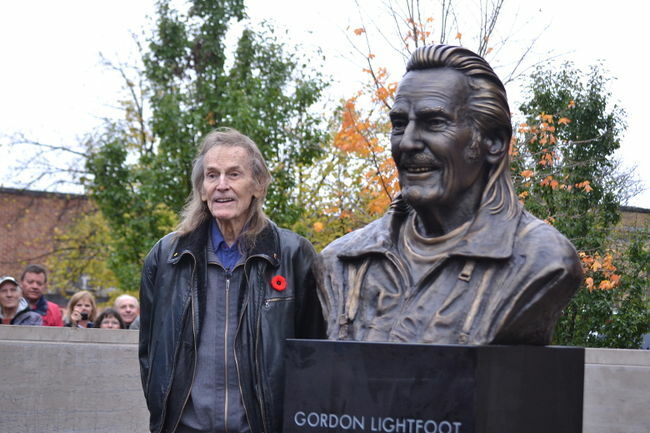 When Lightfoot wrapped up, the crowd’s attention was soon transfixed to the sculpture he helped unveil, a likeness of the singer in his later years. The bust was created by Gino Cavicchioli, a world-famous sculptor, who actually sought out Lightfoot to create the sculpture, rather than being commissioned to do so. Lightfoot has been a part of Cavicchioli’s personal soundtrack since he came to Canada in 1969. Lightfoot liked the bust right away. The likeness was real, he said, and he had thought so ever since he first saw it, nearly a decade ago. He just wasn’t sure what would become of it. At the end of the day, the opera house won out – it’s a better room than Massey anyway, Lightfoot agreed. Stages, such as the ones found at the Orillia Opera House or Massey Hall, are the places where Lightfoot became a master at his craft. Larry Di Ianni, the former Mayor of Hamilton who was asked to speak for Cavicchioli at the ceremony, said the bust was an example of one master of his craft creating art from another master of his craft. That actually made the process easier for Cavicchioli, who declined to speak at the ceremony in the interest of letting his art speak for itself. But he was eager to talk about Lightfoot. The bust weighs about 260 pounds and measures nearly three feet tall by three feet wide. It is erected on a 3,000-pound pedestal facing West Street North, in front of the opera house. Lightfoot donated the bust to the city himself. It was created in 2007 in Hamilton, where Cavicchioli is based, and first showcased in 2009 at a function in Burlington. With Lightfoot standing beside it for photos Sunday after the ceremony, he could have been looking into a mirror. 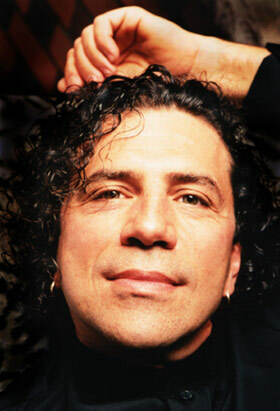 “I’m always after the heart and soul, nothing less,” Cavicchioli said. The bust has now found a forever home, near a special place in Lightfoot’s heart and soul, where Orillia residents and visitors can see it for years to come. As Mayor Steve Clarke pointed out, it’s bound to be the subject of hundreds of thousands of photos taken in the foreseeable future. Originally, it wasn’t going to be as accessible. “It’s was going to be placed on the inside, upstairs where the auditorium is,” Lightfoot explained. “But there was not space for it there. So, Mayor Clarke and his people decided it might be nice to have it outside here, in the front courtyard. Gordon Lightfoot stands next to a bust of his likeness, mounted in front of the Orillia Opera House and unveiled to the public Sunday afternoon. The music of Gordon Lightfoot was found all over Orillia during the weekend, including inside Alleycats Music & Art. 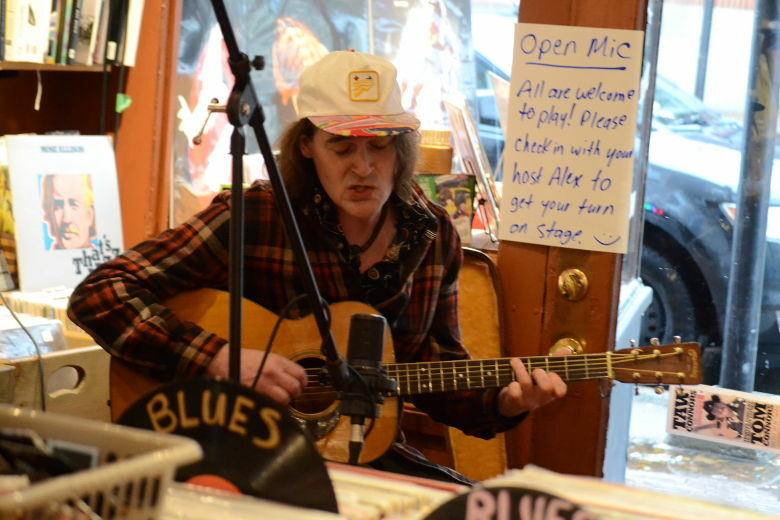 The record store hosted an open mic Sunday afternoon, where a variety of musicians, including Alex Rabitson played their favourite Lightfoot or Lightfoot-esque tunes. 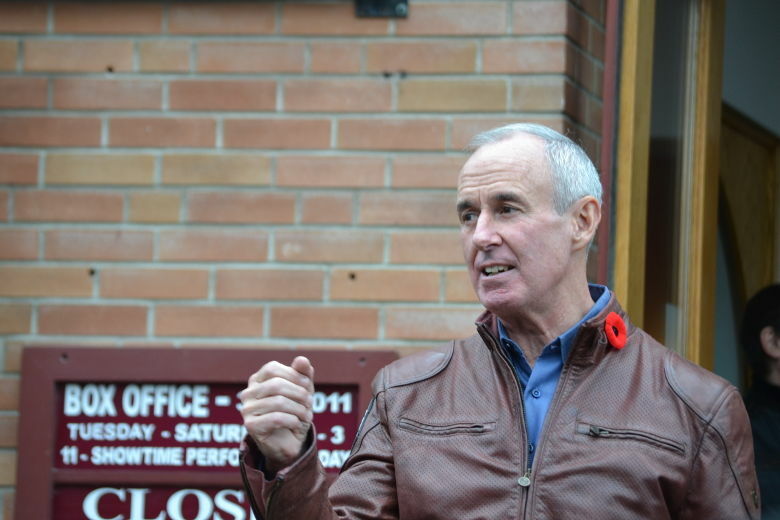 Ron MacLean, host of Hockey Night in Canada and Rogers Hometown Hockey, speaks from the front steps of the Orillia Opera House before the unveiling of the Gordon Lightfoot bust Sunday afternoon. 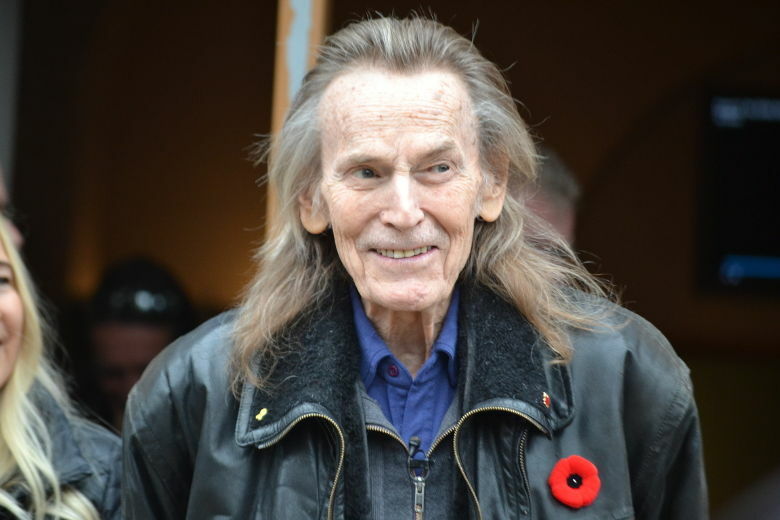 The man of the hour, Gordon Lightfoot, gives a smile as he exits the Orillia Opera House to greet the hundreds of fans who turned out to see a bust of his likeness unveiled Sunday afternoon. Orillia Mayor Steve Clarke, right, grabbed a selfie with both Gordon Lightfoot and his bronze likeness, unveiled Sunday afternoon.